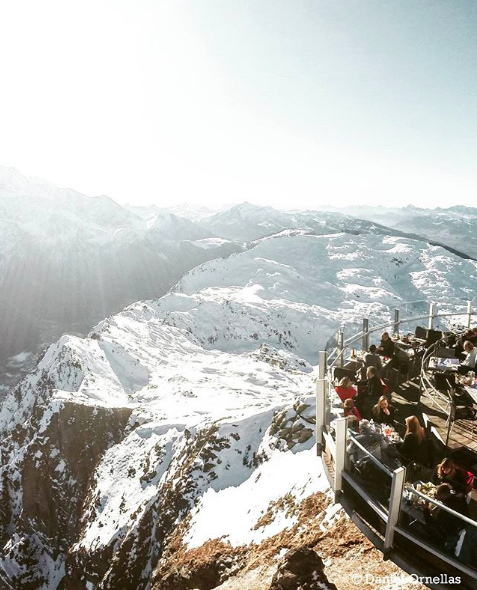 Would you eat at a restaurant on the edge of a cliff? What about one underwater? While it might seem like these are just hypothetical questions, there are indeed dining establishments in these places. 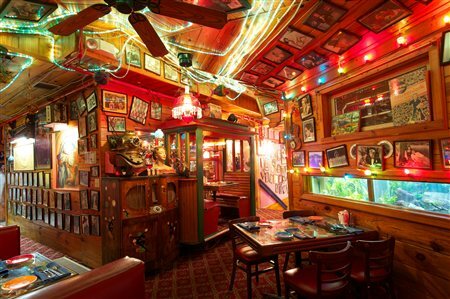 Sure, some people are perfectly content with eating their food in a plain restaurant with booths and tablecloths, but the diners looking for a truly unique experience can find just that in the below restaurants. 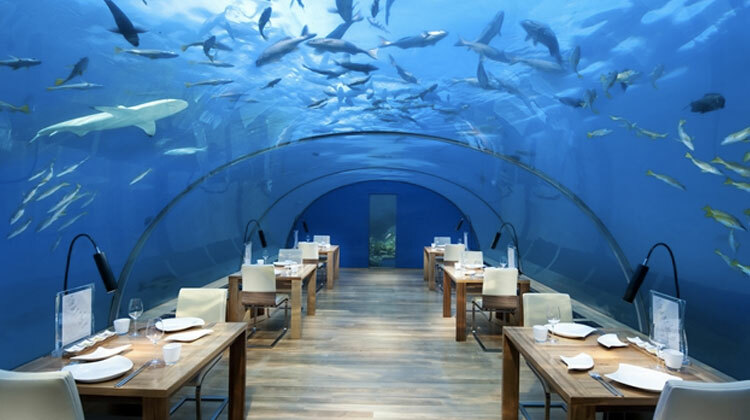 Sixteen feet below the ocean’s surface is this high-end restaurant. 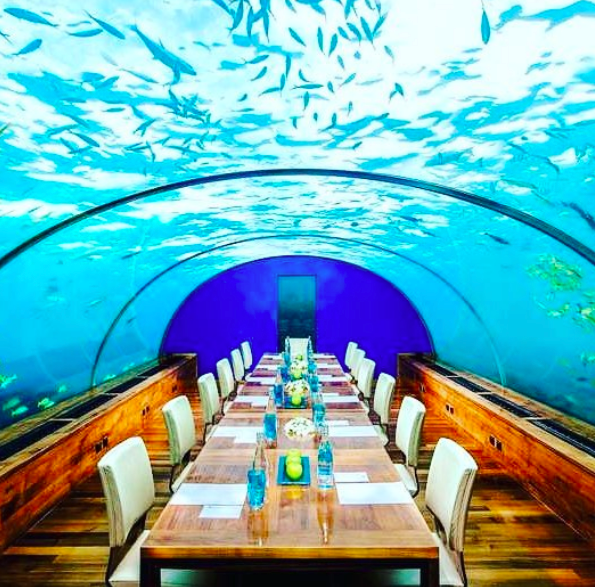 When you’re not gawking at the food on your plate, you can witness jaw-dropping views of fish and sharks swimming overhead. It might not look like it, but that shack is actually a popular seafood restaurant. 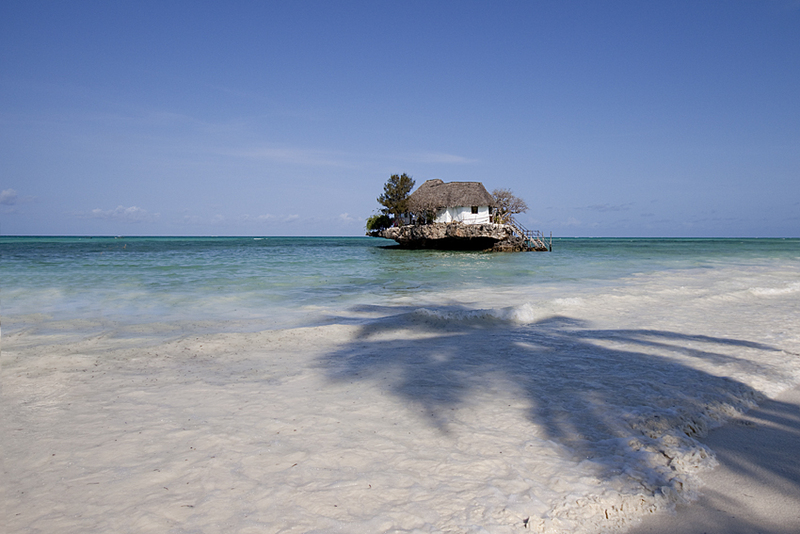 You can get to it by boat or walk to it when it’s low tide. 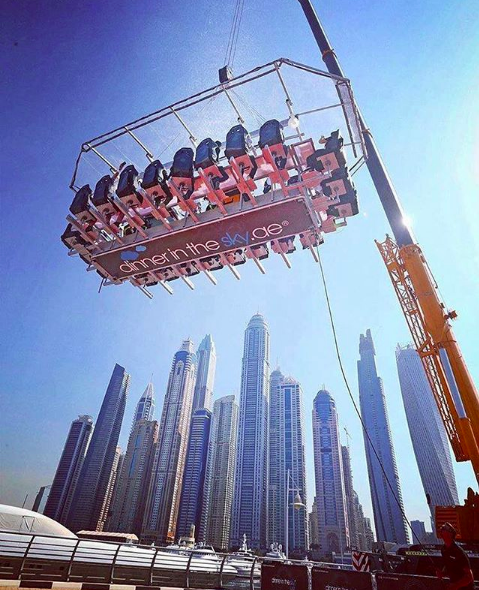 Dinner in the Sky lifts diners hundreds of feet into the air by crane. 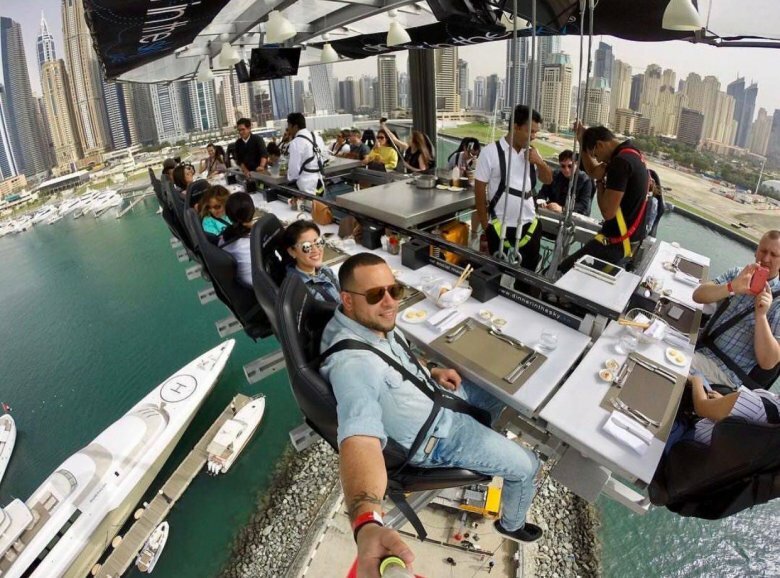 They arrange meals all over the world and the food is prepared in the sky by chefs and bartenders. Don’t worry, everyone is attached to the restaurant by a harness. If you’re a true outdoorsman, this treehouse restaurant sits 30+ feet up amidst the redwoods just outside of Auckland, New Zealand. 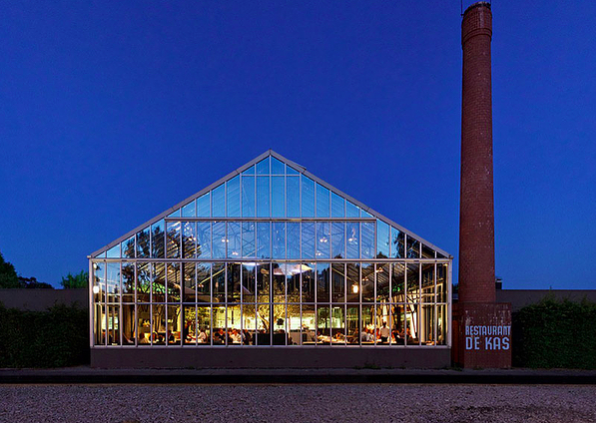 Located in a greenhouse previously doomed for bulldozing, De Kas serves food that was literally grown inside the restaurant and a garden nearby. 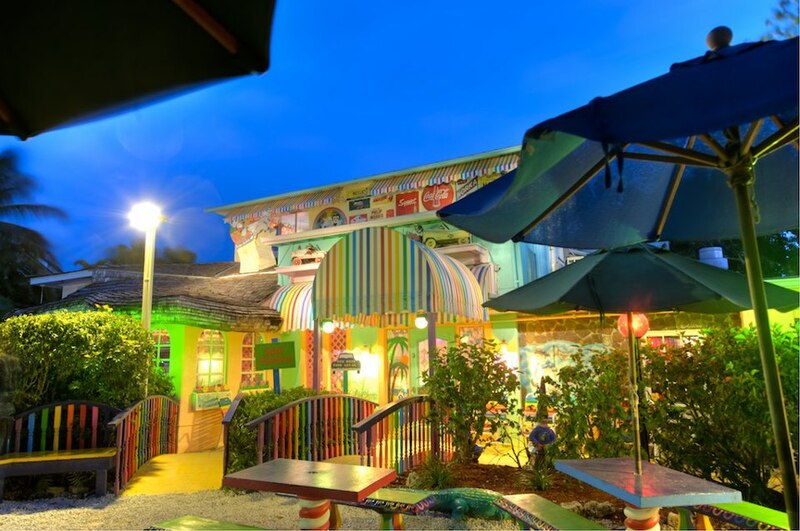 From the outside, this restaurant looks like a funhouse, but one step inside and that suspicion is confirmed. Decorations change throughout the year, but one thing remains — a joyful, upbeat atmosphere. 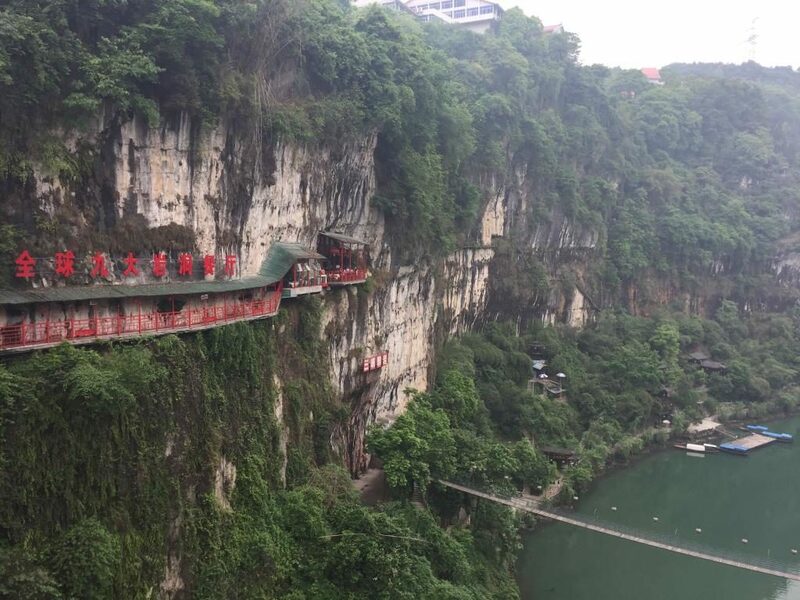 This restaurant literally hangs in the Happy Valley of China’s Xiling Gorge. Diners can enjoy views of the river below or enjoy the meal deep inside the restaurant’s cave. Don’t forget your coat if you choose to dine at Le Panoramic. 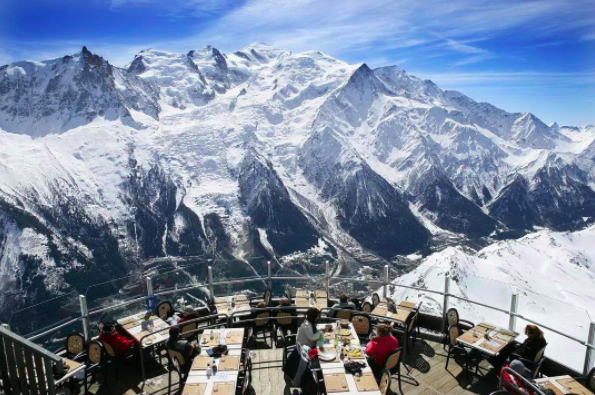 Guests take a gondola ride up to the top of Brévent mountain and have panoramic views of Mont-Blanc. 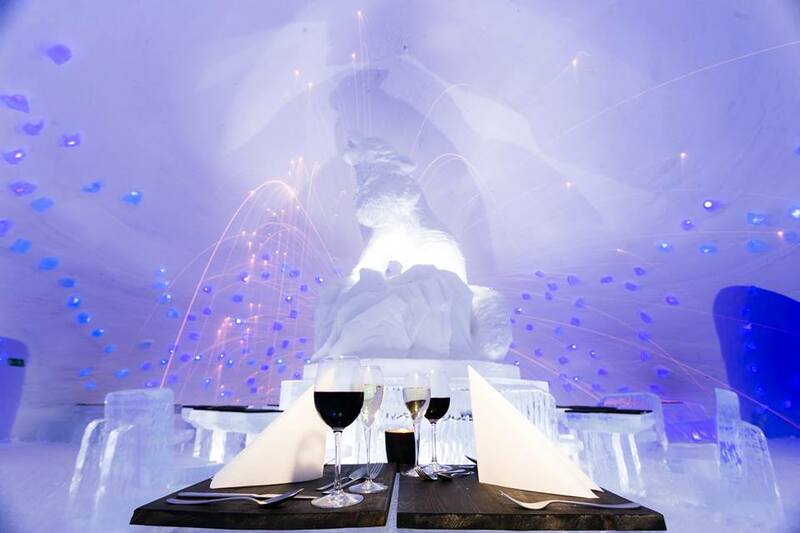 The entire restaurant is made with snow and ice and is kept at just below freezing, so be sure to bundle up here, too! 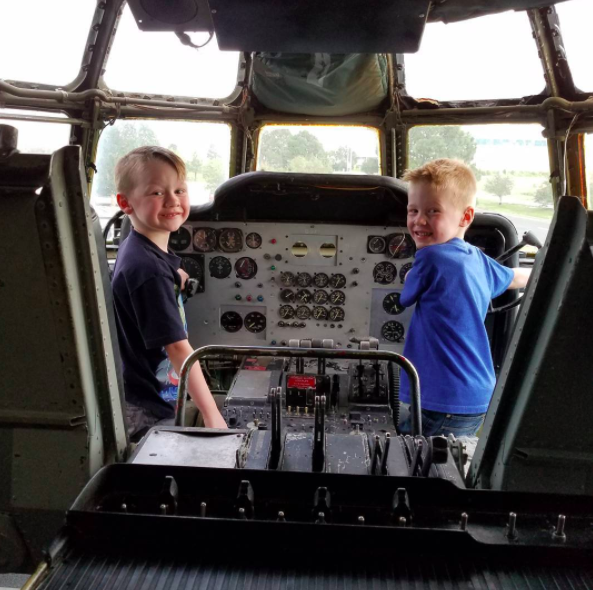 Built in 1954, this particular Boeing KC-97 tanker refueled aircraft for just under 50 years. 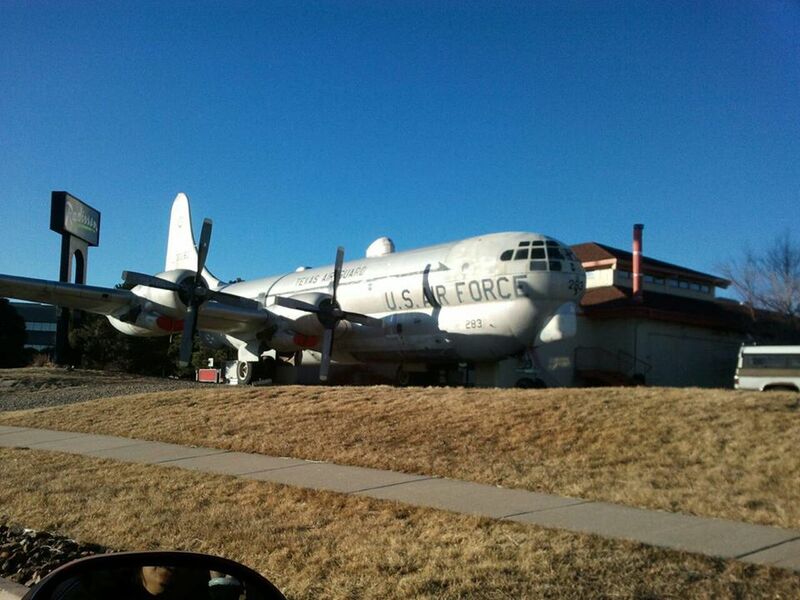 Now, it rests in Colorado Springs and serves up a unique dining experience. 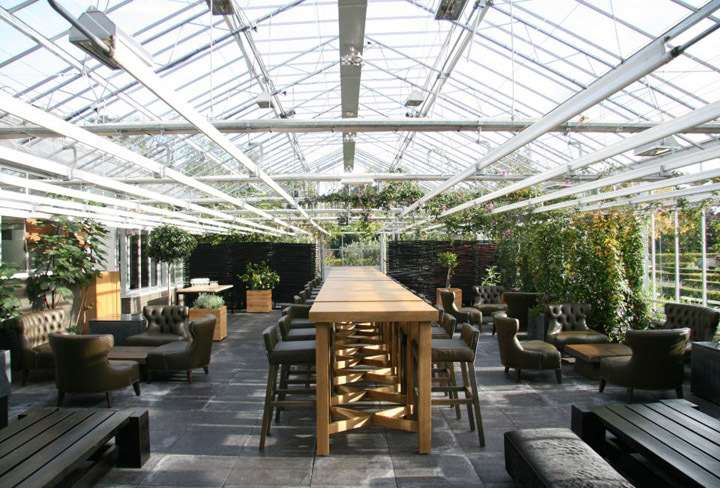 Where would you want to dine first? Share your favorite with your friends!